Keep it Beautiful Designs: Get your Holiday Cards in the Mail! Minted Cards are Here! 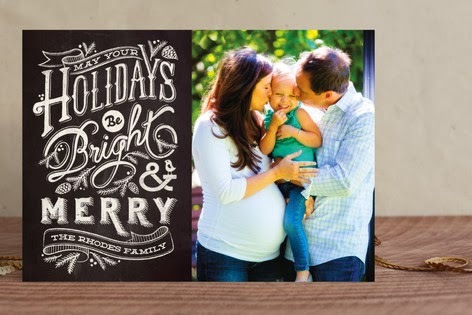 Get your Holiday Cards in the Mail! 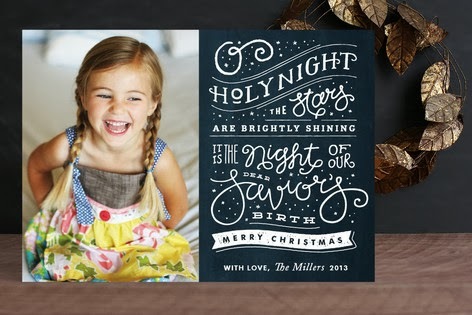 Minted Cards are Here! Did you have a good weekend? My older son and I went to see the Polar Express in the theatre...a great way to kick off the Christmas season. I just love that movie. It snowed here in Ottawa which was lovely, we did some Christmas decorating and chilled. It's nice to have relaxing weekends like that before Christmas plans get busy!! 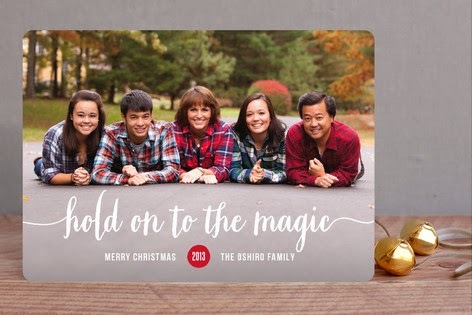 Speaking of busy, it's that time again...your mailbox will soon be filling up with holiday cards from your family and friends wishing you a Merry Christmas/Happy Holidays and Happy New Year. If you haven't sat down and filled out your cards, don't look any further. These cards from Minted are gorg! 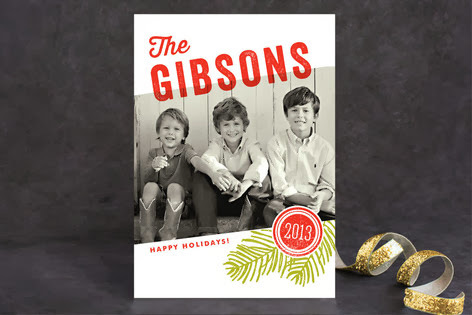 Grab a pic of your family, your kids, your dog...whoever you want to show off to your family and friends and order these fresh.fabulous.sophisticated cards. So this card...really cute! 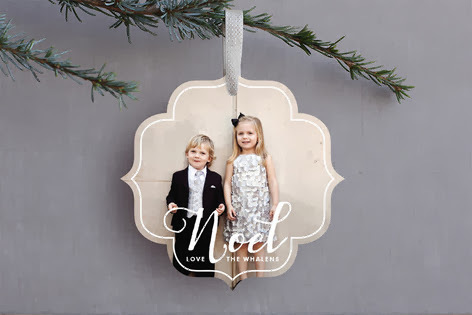 Not only is it a holiday card but it's an ornament that will hang on your family and friend's tree. Love it! The paper is beauty, there are tons of options and I can't wait to get mine in the mail! 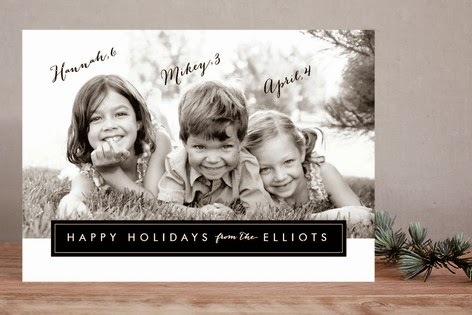 Thank you Minted!! 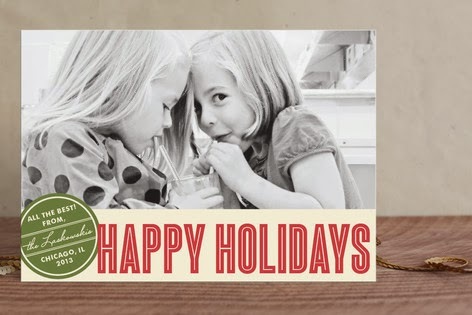 *Disclaimer: Yup, Minted sent me these cards and they're gorgeous, that's why I wanted you to share in the love. All opinions are honest and my own.